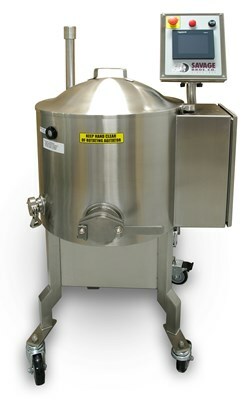 125 Lb / 55 Kg Chocolate Temperer - Chocolate Melting & Chocolate Tempering - Savage Bros. Perfect for medium artisan retail operations working with real cocoa butter chocolate requiring tempering. Now with PLC TOUCH-SCREEN CONTROL for operator friendly function control.